Frontier Quartet Delivers Sentimental And Tender Performance Of "Evermore"
It's only fitting that on National Barbershop Quartet Day we honor true champions. And we can think of no better group to recognize than Michigan's own Frontier Quarter. 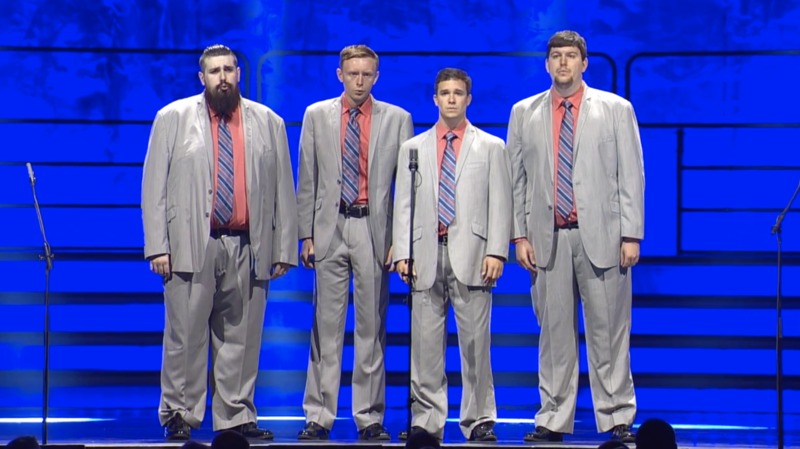 Since 2015, the quartet has been wowing audiences and this past year, took home the crown as the champions of the 2018 Next Generation Varsity Quartet Contest, the collegiate category offered at the Barbershop Harmony Society's International Convention. The win came in the group's third year of competition, culminating after years of hard work. Since winning, the quartet has been hard at work preparing to release their debut album, which was recently funded by their Kickstarter Campaign. To honor the group and their wonderful sound, check out this rousing and inspiring performance of "Evermore" (from Beauty and the Beast) which was performed during their 2018 competition set.